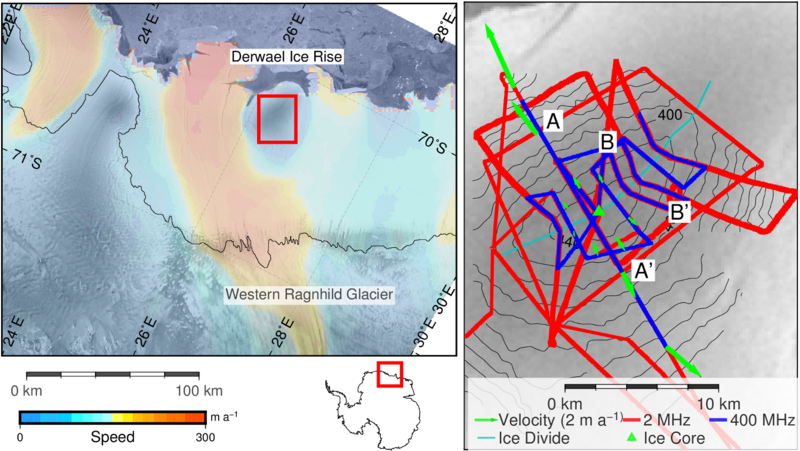 fined flow regime, which is decoupled from the surrounding ice shelves, and which contains local ice divides. 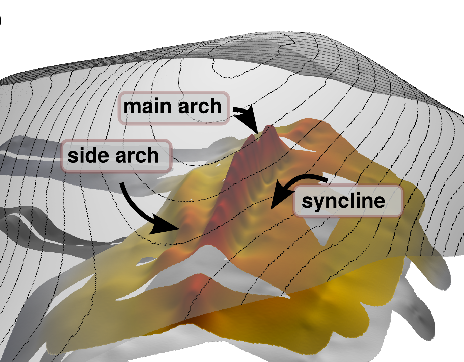 Beneath the divides, ice stratigraphy often develops arches (Raymond Bumps) with amplitudes that record the divide’s horizontal residence time as well as surface elevation changes. We have collected a large geophysical dataset which we interpret using full Stokes modelling (Elmer/Ice). This gives insight into the ice rise evolution and provides tie points for studying the deglaciation history of East Antarctica.